The Galaxy Nexus online deal from Costco that we posted up yesterday is even better if you take it into a store from today through the 7th. 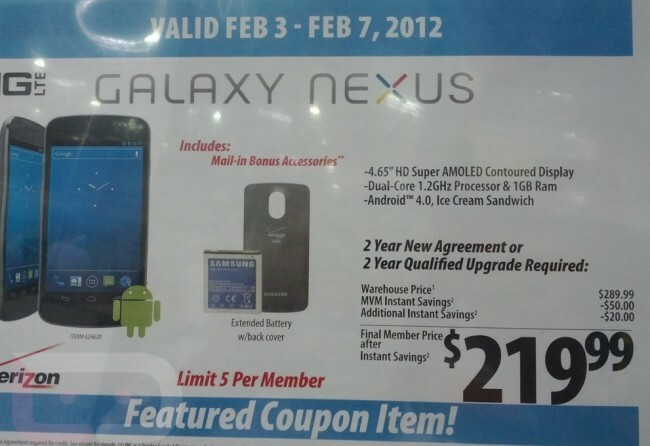 Purchasing the phone in person at Costco will run you $219 thanks to a bonus $20 discount, plus they will also toss in the free extended battery. You will still have to mail off for the “bonus accessories,” but you won’t mind if it gets you a $60 battery, right?